No flight deck can operate without a Landing Signal Officer (7621). 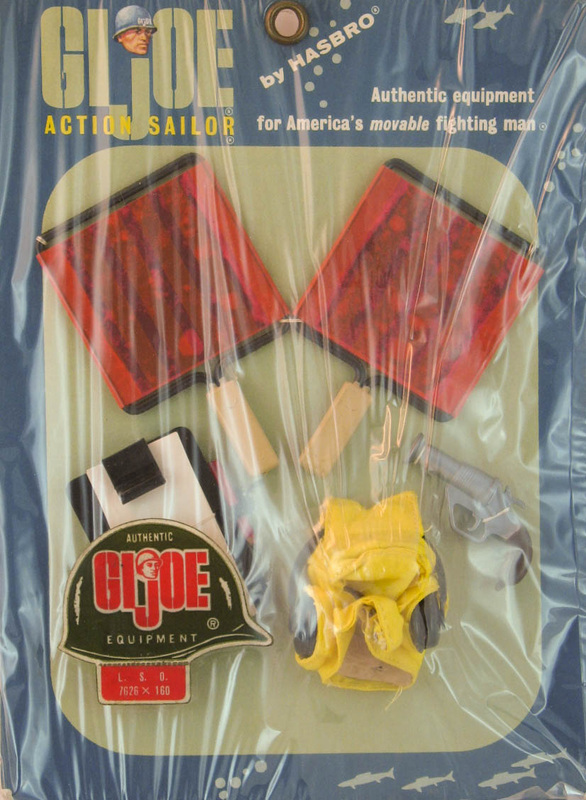 Advertised in early catalogs as the "Deck Commander," the name was changed when the set was released. Note that the goggles are black rimmed, different from the white rimmed ski version. LSO sets were sold in a vibrant window box (left). Some of the accessories were available on a small card (7626) as well (above). The paddles in the carded set show how sometimes the adhesive can bleed through and stain the paper covers. The suit below has not had the stripes applied. 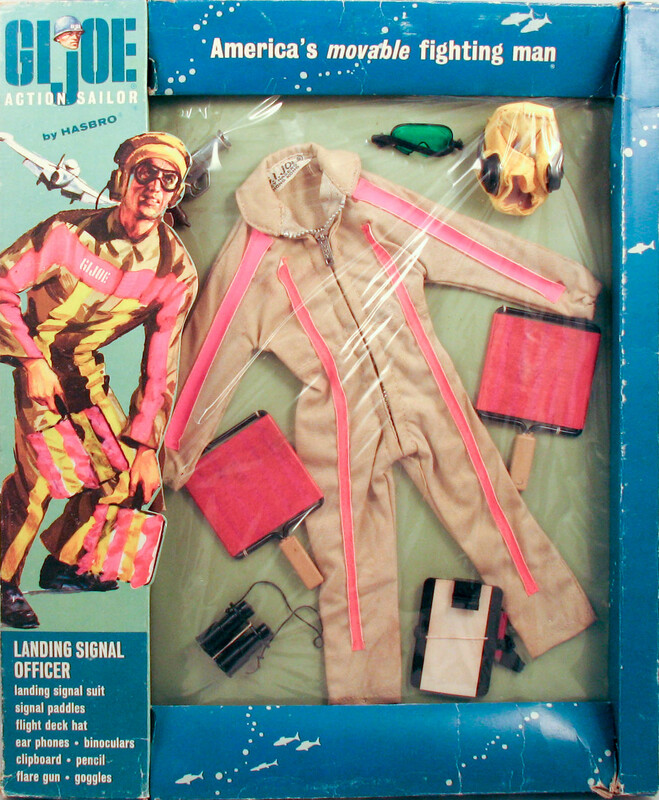 This may have been a factory error, or overstock of the jumpsuits may have been sold on dressed figures at a later date, even during the Adventure Team era of the 1970s. Until a packaged example shows up no one will know for sure. There a several very rare prototypes out there that feature hand painted stripes on them, and a possibly one-of-a-kind set with red stripes sewn to a goldenrod pilot's jumpsuit. If you can supply pictures of any of these, please contact me.